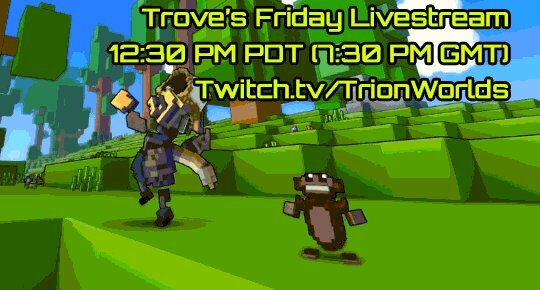 As the coming of Friday, the next Trove livestream is available on the Trion Worlds Twitch channel soon. In this livestream, the dev team will show off a bit more of the upcoming Shadow Hydrakken boss in the Shadow Tower. Players can also have a sneak peek at the subclass system as well as get epic giveaways. Plus, the adorable Cotton Candy ally will be available on Xbox One or PS4 as usual.